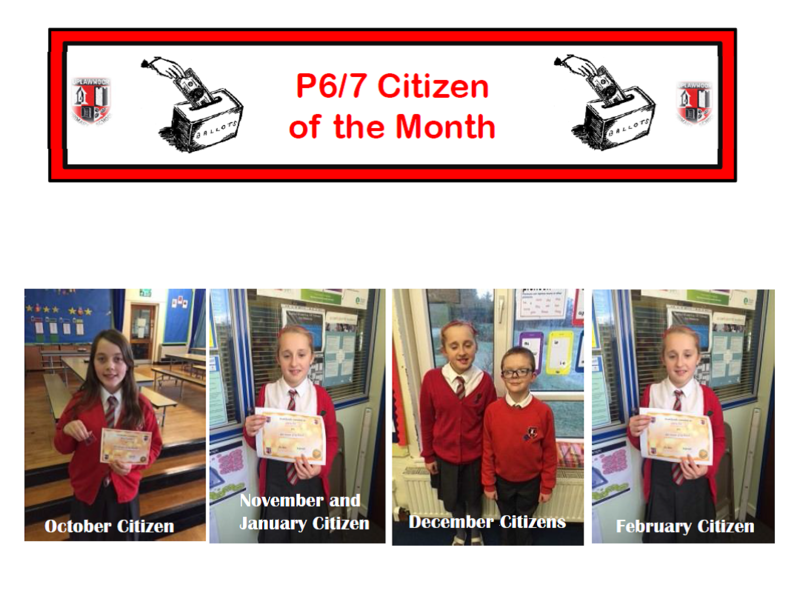 Congratulations to Ashley Kee who has triumphed again and won P6/7 Citizen of the Month for the 4th month running! She is clearly showing the traits of a good citizen both in class and in the playground. Well done Ashley. Previous PostEast Renfrewshire European Quiz 2016Next PostWorld Book Day!